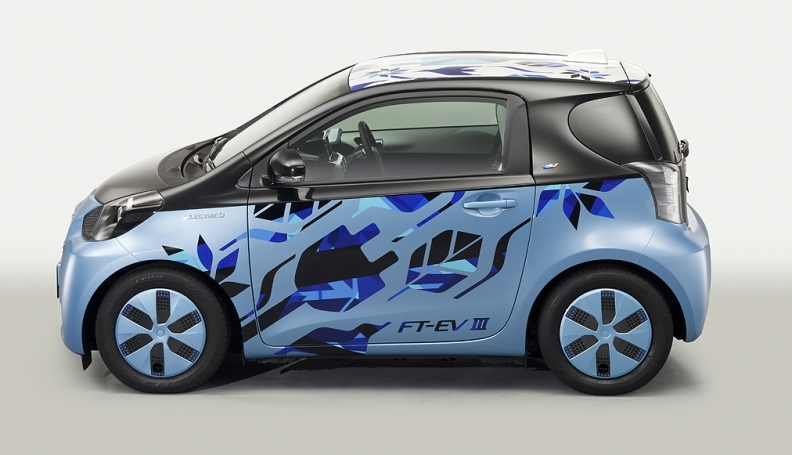 The FT-EV III -- based on the iQ minicar -- is the latest in a line of electric vehicle concepts from Toyota. TOKYO -- Toyota Motor Corp. will debut production versions of its Scion FR-S sporty car and Prius C at this month's Tokyo Motor Show, making its exhibit likely one of the most closely watched ones of the show. The Prius C, as it will be known in North America, makes its world premiere as the Toyota Aqua for the Japanese market. It goes on sale here next month and will hit showrooms in the United States next year. The Prius C, a subcompact hatchback based on the Yaris platform, will get 35 kilometers per liter (82 mpg) under Japan's testing cycle, which does not directly compare with the EPA's.Expect a much lower mpg number in the United States. The car comes in just under 13 feet long, seats five and is powered by a 1.5-liter engine mated to a new, lightweight Toyota hybrid system. Photos show a Yaris-style front, a Prius-like roofline and an all-new wavy side-panel treatment that curves up and over the rear wheels. The Aqua/Prius C is expected to get an electric-only cruising range of 15 miles and fuel economy of more than 57 kilometers per liter (134 mpg) under Japanese standards.The car will be built by Toyota's Kanto Auto Works Ltd. affiliate in Iwate prefecture in northern Japan. 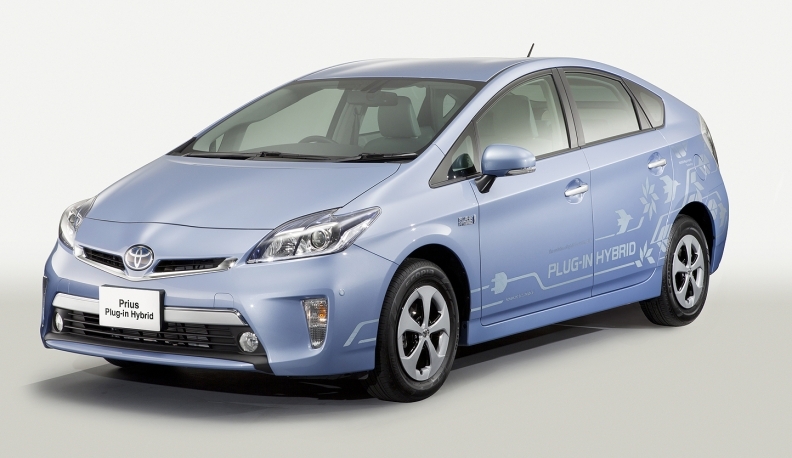 The Prius Plug-in Hybrid is due in U.S. showrooms next year. 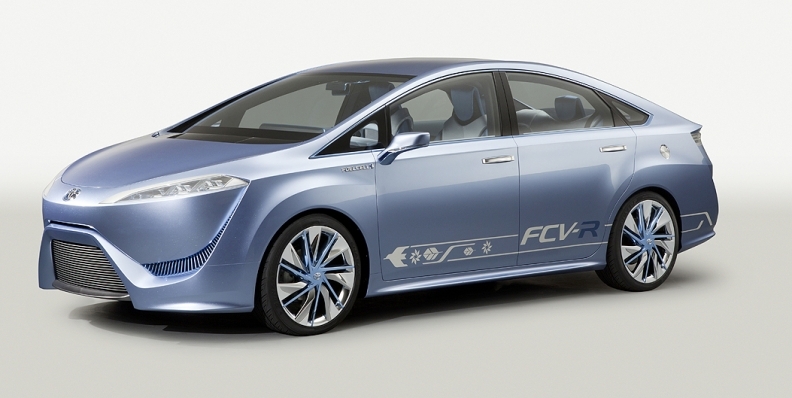 The FCV-R is a close-to-market vision of the hydrogen-powered fuel cell sedan that Toyota plans to start selling in 2015. This four-seat concept takes heavy styling cues from the Lexus HS-250h hybrid. The fuel cell unit is located beneath the driver and can power the car for 700 kilometers on a single tank.